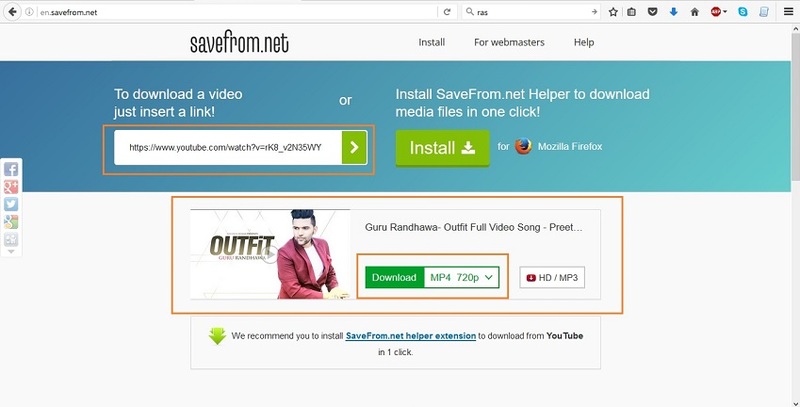 Video Grabber is a video downloading program that allows you to download videos from the video sharing sites. 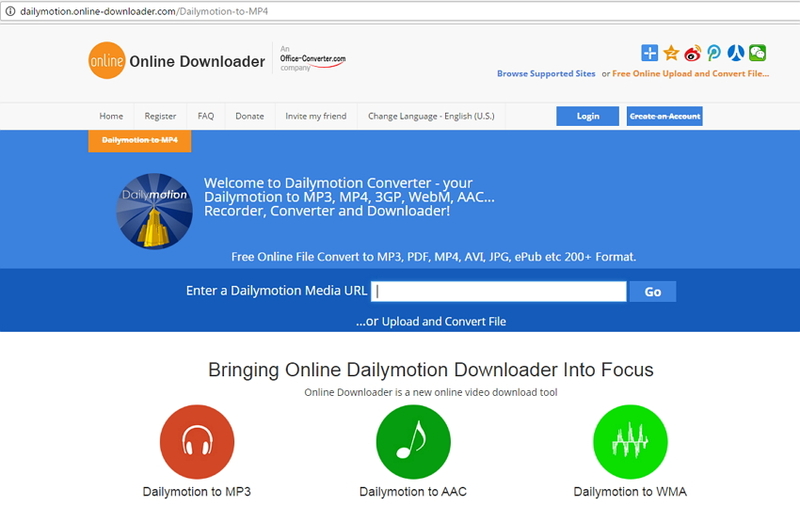 This video downloader program is specially designed for Mac computers and allows users to download videos from the video sharing sites to their Mac computers easily. But when you are downloading videos with Video Grabber, you'll easily find out that this video downloader at times gets stuck, so in this article, we'll introduce the best alternatives to Video Grabber for Mac. Check it out. There are various kinds of video downloader programs that can help you to download videos from the video sharing sites. Among all the video downloader programs, iTube Studio for Mac can be regarded as the best alternative to Video Grabber for Mac. 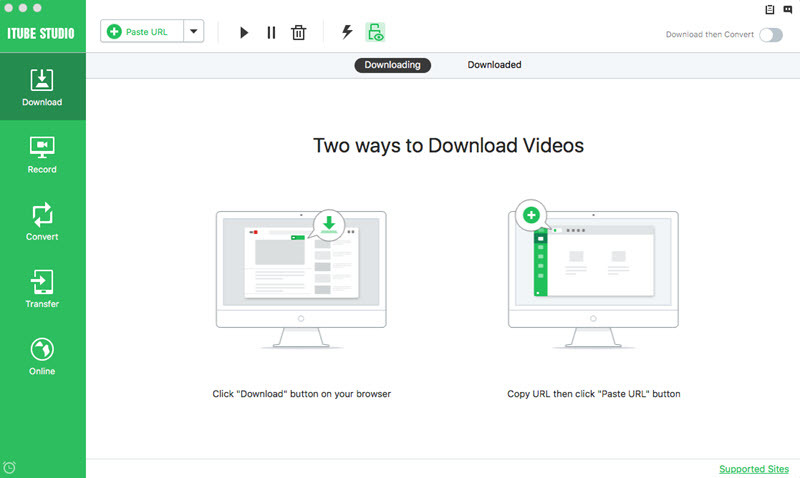 This video downloader enables you to download videos from more than 10,000 video sharing sites, and it saves the downloaded videos in the video or audio format you need with no quality loss. 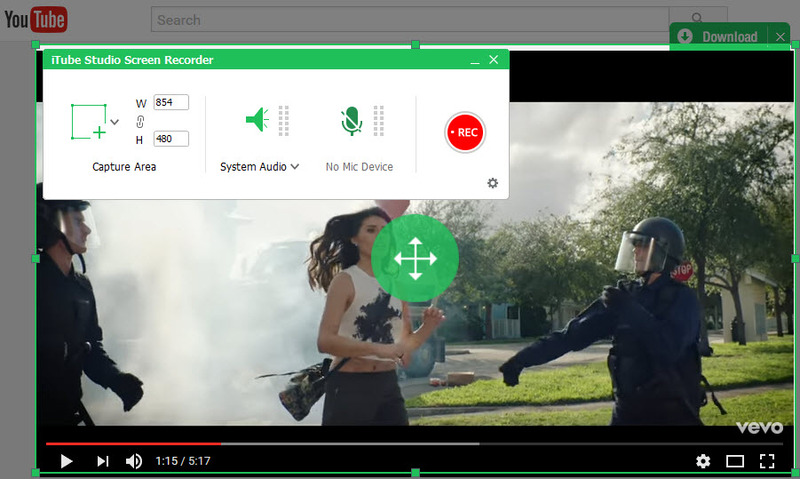 This alternative to Video Grabber for Mac also provides a screen recording feature that allows you to record screen with high quality. This part will introduce the key features of iTube Studio and how to use it to download videos from the video sharing site. Click the Paste URL button at the upper left corner of iTube Studio, and the downloader will automatically analyze the video URL then start downloading. When the download finishes, you'll get the downloaded video in Downloaded category. As mentioned, this video grabber for Mac offers a built-in video recorder that can help you to record videos with high quality. The following guide will show you how to use this video grabber for Mac to record videos. Start iTube Studio after the installation. Then choose the Record section at the left side of the software window. Then you will see the button of Record. After selecting the Record option, you'll see the frame of recording. Adjust the frame to make it match the screen of the video you want to record. Click the REC button at the upper left corner of the frame to start recording video. 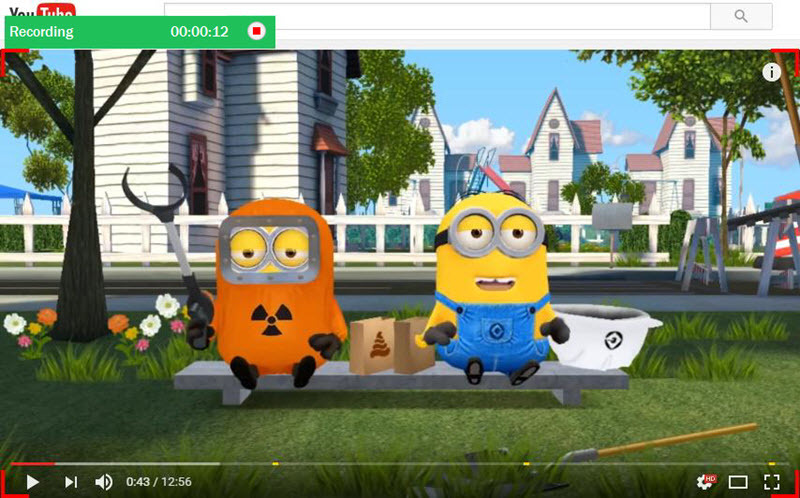 When the video finishes playing, you can click the Stop button to finish the recording process. 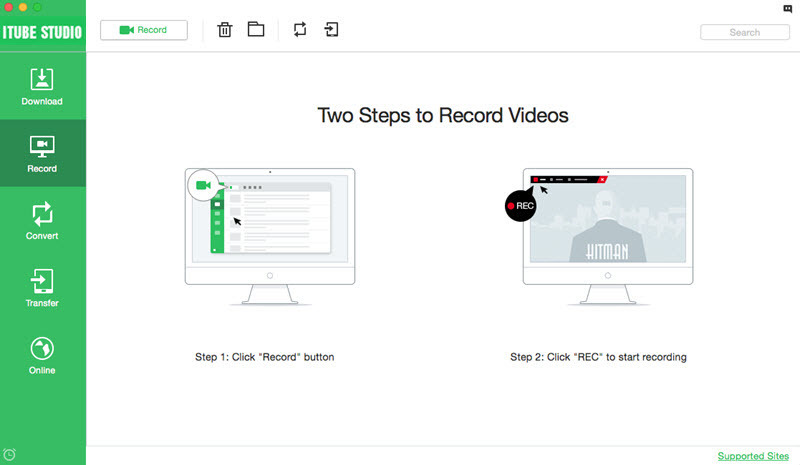 So that's how iTube Studio helps you to download and record videos. Thanks to the help features this program offers, it is regarded as the best alternative to Video Grabber for Mac. 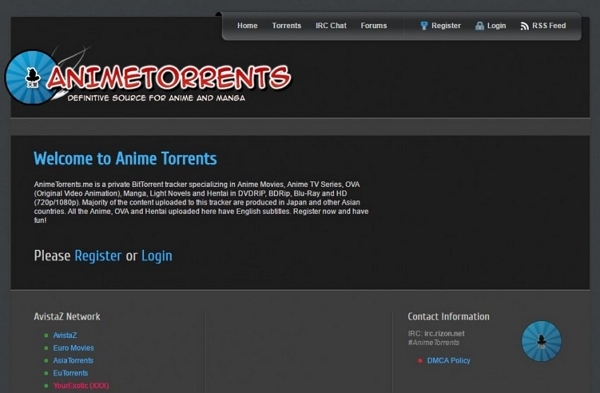 There are several online video downloader websites that can help you to download videos. Among all these sites, Savefrom.net can be regarded as the best online alternative to Video Grabber for Mac. This online video downloaer enables you to download videos from the 28 video sharing sites, including YouTube, Vimeo and so on. With the help of this video downloader, you can get the work done easily. Step 1. Go to the video sharing sites like YouTube, and find the video you want to download. 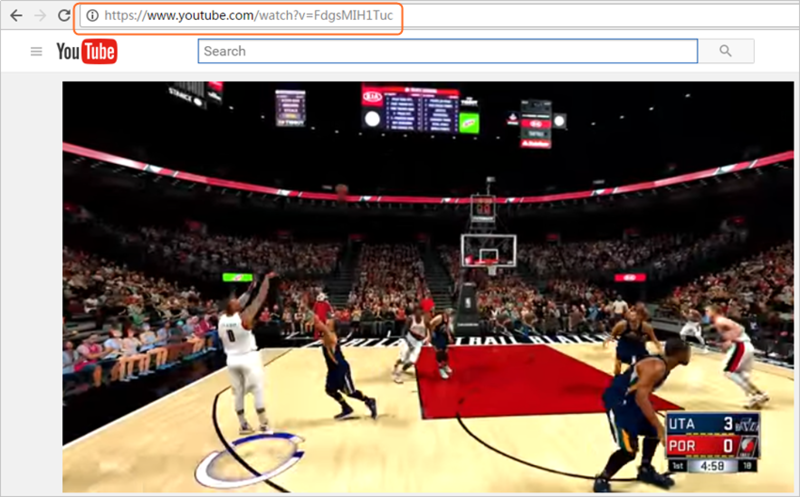 Then copy the video URL in the address bar. Step 2. Open Savefrom.net and paste the URL into the column. Then click the Download button at the right side. Step 3. After clicking the Download button, you'll see the download options in another page. Select the video quality you need and start downloading video. Conclusion: With the help of these best alternatives to Video Grabber for Mac, you are able to download videos from the video sharing sites easily. Both of the two solutions can help you to finish the task easily. When you make a comparison between the two solutions, you can find out that the iTube Studio is better than the online downloader thanks to its helpful features and stable downloading process. So if you are interested in this program, you can free download it to have a try. 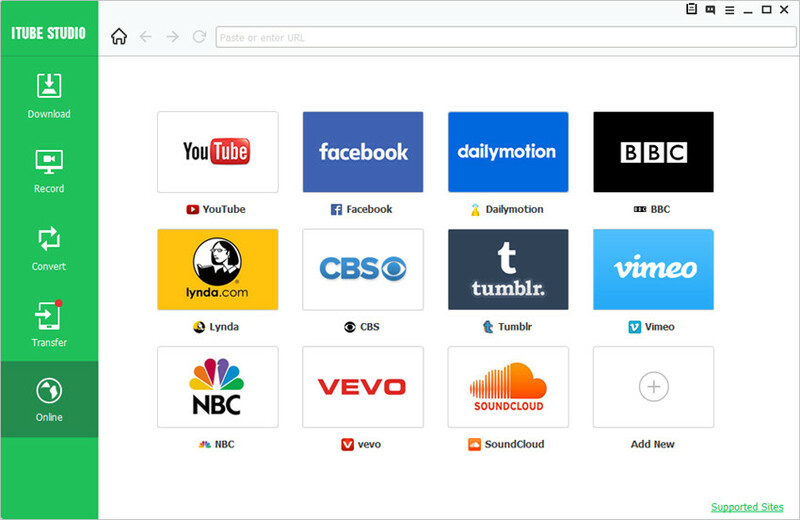 Download videos from YouTube, Vimeo, and other 10,000+ pupular sites.